design and production on a pattern collection with my talented friend Anne of Wooly Wonka fame - more on that in a couple weeks. If you're on my pattern tester list, you know a little bit about this. And that last item is where I would love some input from you! I'm swatching up two yarns that will be available in the Spring: a cotton-linen blend (see below) and a merino-camel blend. The collection has a beachy vibe. What kind of patterns would you be interested in knitting in those combos? Leave a comment or drop me an email at kathleen at kathleendames dot com. 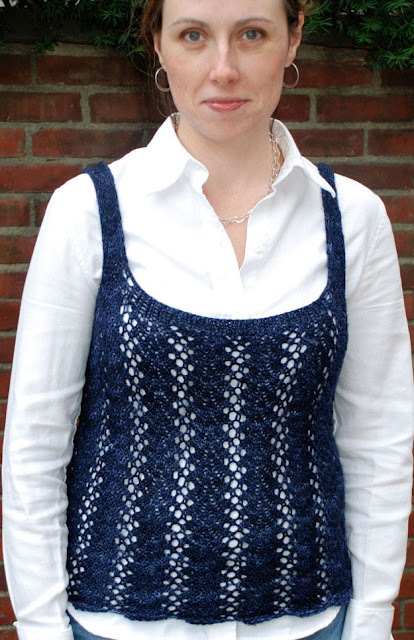 Vines: a lacy tank is a perfect first garment, if you are looking to dip your toe into lacy waters. No sleeves, no shaping, just pretty pretty lace and a few clever bits for the top edgings and straps. 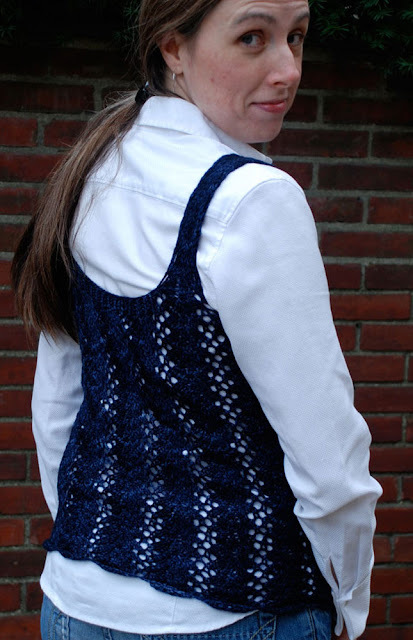 Beautiful and easy-to-work Vine Lace pattern (provided in both chart and written form) makes a simple little lacy tank, perfect for adding that extra layer you’ll need for spring (or any time your outfit needs a little oomph). Worsted weight yarn makes this a quick one, too. For warm-weather knitting, try it in cotton, linen, or a blend. This design takes advantage of lace's need to be stretched out for maximum beauty and combines it with knitting's stretchiness. Choose a size with 2-4 inches of negative ease (that is, smaller than your bust measurement - choose 0-2 inches if working with linen or cotton), and knit away. 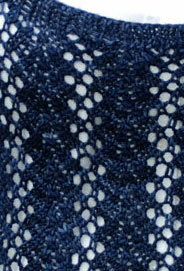 When you finish, you will have a pretty layering piece that hugs your curves with no shaping-in-lace for you. This design is virtually finish-free! 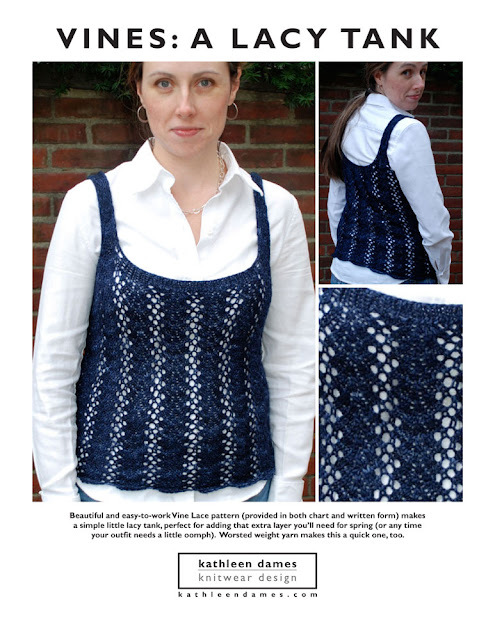 Everything you need to create your own beautiful Vines: a lacy tank is provided in the professionally designed (by me!) pattern. 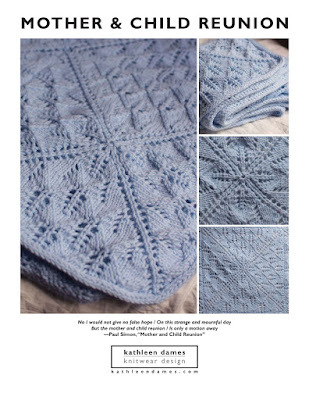 Both written and charted versions of the Vine Lace stitch pattern are included.